SD Series derails are fabricated from tough carbon steel, and are produced using a proven design featuring a lower height above the rail head. They will derail all rolling stock including mainline locomotives when installed and used properly. 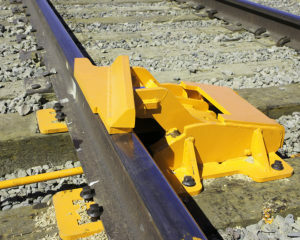 The SD-3L is a single-end derail.